Virtual desktops are a boon for many power users and individuals that like to segregate work into multiple channels to make for easier discoverability and efficiency. This feature has been a hallmark feature of macOS and was also added to Windows with Windows 10. 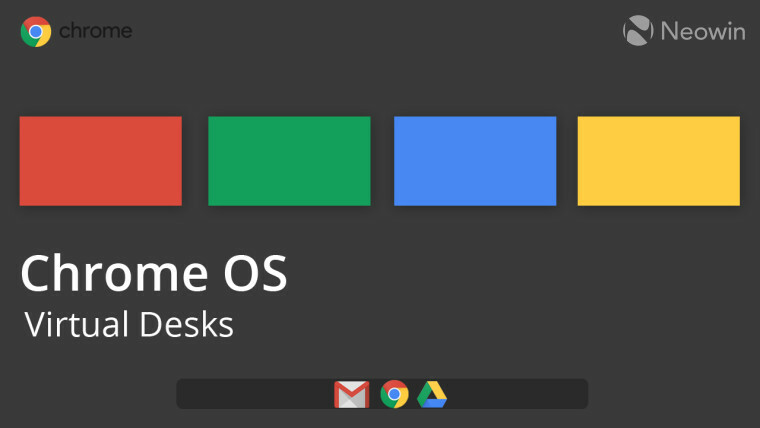 However, another operating system that is increasingly maturing to rival these two giants in the productivity space after having made its mark in the education market is Chrome OS, and virtual desktops might be soon making it to this OS as well. The feature was confirmed to be on the roadmap for the OS and looks like it is closer to reality than ever. ‘Virtual Desks’, as the feature may be called, is currently in the works if a Chromium Commit is to be believed. The commit to Chromium’s Gerrit source code management titled “Virtual Desks 1: Initial scaffolding” also hints at the various UI elements that will come to ‘Virtual Desks&apos;. Those include a “VirtualDesks base”, a “bar that will later contain desks&apos; thumbnails”, and a "New desk" button, which clearly are the basics of the feature. A short video posted to the page also shows off an early build of the feature. The ability to add virtual desktops itself does not seem to be working, suggesting that it would be a very early version of the feature. Switching between the virtual desktops may also be done using gestures or mouse input, as is the case in macOS and Windows 10. However, not much is currently known about how exactly the feature would work, or what additional functionality would it bring. It also isn’t clear as to when this feature can be expected since it seems to still be in the early stages of development. It is interesting to see Chrome OS mature further to take on the likes of established. With an increasing number of OEMs offering premium Chromebooks, along with the advancements being made to the OS, it may very well begin to be considered as a viable option. Published on Wed, 13 Feb 2019 23:44:01 GMT, © All rights reserved by the publisher.